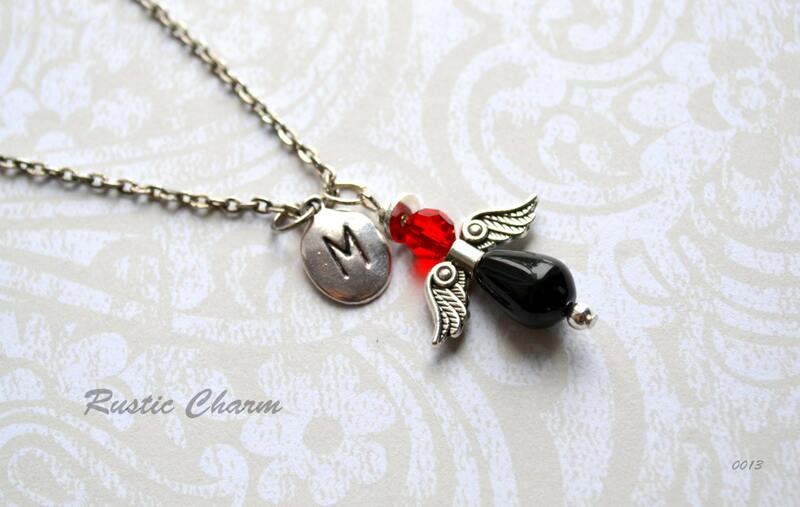 These beautiful angel pendants are made with black onyx stone (body) silver plated pewter wings and accents and round 6mm birthstone crystal (head). 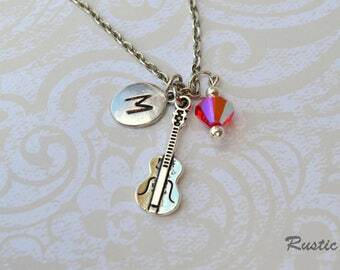 Each angel comes with personalized hand stamped initial charm and antiqued silver finished chain. Please select birthstone crystal and chain length in the dropdown box above and let us know what initial you would like in the comments to seller section at checkout. If you have any questions about this listing, send us an e-mail.